I’m excited to announce the launch of the Senior Living Options of the Desert website. This is a project I worked on with Leann Dale, the owner of Senior Living Options of the Desert. This is a wonderful organization that offers a free service to families who are looking for assisted living, residential care facilities, or memory care for their loved one. Leann and her team are the local experts in senior living options in the Coachella Valley and the Inland Empire in Southern California. If you, or someone you know, are looking for assisted living or memory care options give Leann a call. Their personalized approach is what makes them different. Senior Living Options of the Desert is a local senior living referral agency that was paying a lot of money each month on advertising to drive traffic to their website. They wanted a website that was SEO optimized and would show up more in organic search results. They also wanted to highlight that they are the local experts as their main competitor has a national presence. The overall website design was modern, fresh and engaging. We also optimized all of the content for search engines to help organic search rankings. And, it’s designed to get visitors to take action. We have an active content marketing campaign in full gear and have already seen a dramatic uptick in organic search traffic to their site. We do more than just build websites. We provide the expertise and knowledge to grow your business. Through comprehensive website solutions and search engine optimization, we will get results for your business. My approach is through the eyes of a small business owner and my goal is simple. 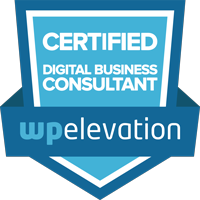 I will help you grow your business with an awesome website designed to look good on any device and SEO services that will get you ranked on the search engines. Give us a call. 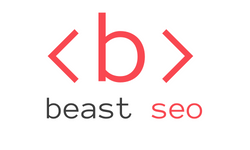 For more information visit https://beastseo.com.